New Delhi, Dec 15 (IANS) Double Oscar-winning Indian music composer A.R. 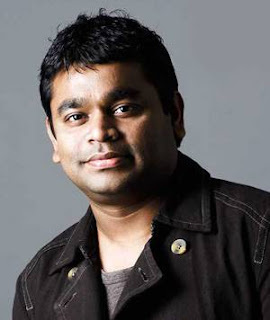 Rahman is ecstatic about being nominated for the Golden Globe award for his work in Danny Boyle's "127 Hours". He says it is a "blessing beyond words". "I am very grateful to the Hollywood foreign press for recognising our film. To collaborate with Danny Boyle is a joy in itself, and to receive recognition for the score makes it all the more joyous. This is a blessing beyond words," Rahman posted on social networking sites Facebook and Twitter. The Chennai-based composer has been nominated in the original score for a motion picture category and is competing with the likes of Alexandre Desplat ("The King's Speech"), Danny Elfman ("Alice in Wonderland"), Trent Reznor and Atticus Ross ("The Social Network"), and Hans Zimmer ("Inception"). In 2009, Rahman had bagged a Golden Globe trophy for Boyle's "Slumdog Millionaire", for the music of which he had also won two Oscars the same year. His work in "127 Hours" too has been appreciated. In fact, American mountain climber Aron Ralston, on whose life "127 Hours" is based, had also earlier sent out a personal note to Rahman and lauded his music in the film. The note read: "For A.R, Thank you for bringing your amazing music to my story - if only I had your soundtrack in the canyon, I could've lasted another 127 hours. Best Wishes, A.R. (Aron Ralston)."